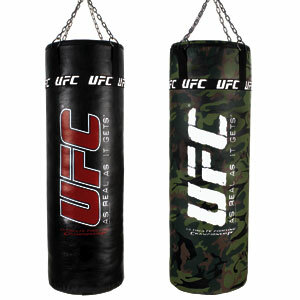 ***mma-adsense-text.shtml***If you are looking for an affordable, durable heavy bag, this one is for you. I personally love this bag because at the end of my best work out, it is still standing. This bag holds it's shape regardless of what I dish out. I like training with this bag as a 100 pounder because it is great for strikes and kicks and it gives me a large area to work with. It is one of the largest in terms of striking area and 30% larger than the original bag. This 100 pound bag has a rugged structure system with impact resistant polyurethane cap, solid steel chain assembly and a very durable cover. It also has a tie down strap. It is black and red and has synthetic fiber filling. It measures 16” in diameter and is 52” tall. The best thing about this bag is that it is a UFC product and you can't get any better than UFC. US orders will ship out in 48 hours or less, but often the same day. Because of the size and weight, unfortunately this product cannot be shipped internationally or to Hawaii or Alaska. If you train hard and want a great sturdy product at an affordable price, I definitely recommend this bag. Do not take my work for it, this is the comments about this bag from users. - tough enough to handle kicking the heck out of it..the camouflage just looks so cool! 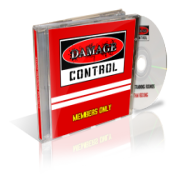 - It's nice and fat so you can throw a lot of power into your strikes. Soft enough to hit with out gloves. 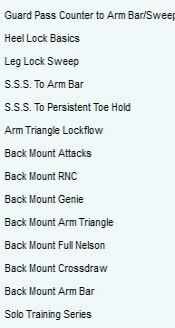 When training for MMA on the heavy bag you want to get your full power. To see how one UFC fighter bulked up and improved all his lifts just go to Shamrock Strength and Conditioning for MMA. Brian and Brandon teach grappling. 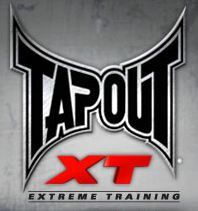 They are very good and have a long list of UFC and MMA fighters who have used their program.